HAVING worked with Shah Rukh Khan in Maya Mehmsaab and Aamir Khan in Mangal Pandey: The Rising, director and producer Ketan Mehta is well known in the film circuit. After 10 films, seven documentaries and two television show, he has also developed a reputation for unconventional stories, often based on real life. His recent venture is a television show with Discover Kids, called Kisna. 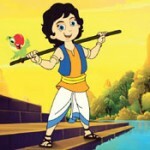 Unlike Little Krishna, which is based on the life of Lord Krishna, this show, produced by Mehtaa��s Maya Digital Studio, is about an adventurous young boy from Anandnagri who often clashes with Raja Durjan. a�?Kisna is an original animated television series for children. He is this extraordinary little hero who vows people with his wit and valour. He is humourous, playful and virtuous. This is not just a mindless entertainment show but will also teach children a lot of things. It is a mix of amusement and education,a�? begins the producer of the show. A fan of animation, the 61-year-old observes that this genre is taking off at a very fast pace in India. 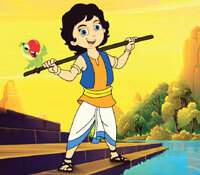 a�?We have several shows like Chota Bheem and Hanuman that are based on mythological characters. Kisna will not just be a mythological character.A�Children are asking for more and they like changes. They like watching newer things and ideas,a�? shares Mehta, who considers Hollywood movie, Avatar, to be a masterpiece when it comes to animation. The show plays on Discovery Kids, every day at 2 pm. After censor board issues, Mehtaa��s 2008 film Rang Rasiya based on renowned painter Raja Ravi Varma is getting a world-wide release only in November. But he is already working on his next film with Nawazuddin Siddiqui, Manjhi: The Mountain Man. A fan of real life stories, Mehta has tried it all. a�?I have done an Indian musical spoof with Oh Darling! Yeh Hai India. I have even done a folk tale with Mirch Masala but real life stories fascinate me more than fiction. Like Rang Rasiya is about Raja Ravi and his controversial sexual character, Manjhi is about this man who broke a mountain for his love,a�? he explains. For the Ahmedabad-based director, life itself is an inspiration. a�?From small newspaper cuttings to paintings in a gallery, there is something you can work on all the time,a�? he shares.